A few weeks after the not so popular Ghana Movie Awards (GMAs), the inaugural Sparrow Entertainment Festival graced the Ghanaian cinemasphere. This is quite opportune if you ask me and it sheds light on what may be a step in the right direction for Ghanaian cinema. When I posited the question “How seriously should we take the GMAs?” a while ago, I suggested Ghanaian cinema might be better off with a marquee film festival than a reward show that isn’t remotely building the industry. As it happens, the CEO of Sparrow productions, Shirley Frimpong-Manso, is one of the few souls who read my blog – or maybe not. All the same she is presiding over what could grow into a significant Pan African film festival. At the moment, that assertion could be considered overreaching. The cynic in me feels this 2 day festival is just some in-house fanfare and marketing drive. The festival featured the screening of two of Shirley’s upcoming productions; feature length film, Rebecca and a political serial, Shampaign. Refer to Sparrow’s website for details on how the festival was structured but you can tell it is a fairly simple and restricted festival. Most of the casts featured at the event and Yvonne Okoro’s red dress was the chatter of the GH blogosphere instead of maybe a few insightful interviews or reviews. I did see one review courtesy Ghanacelebreties.com so that’s something. Oh, I should also mention I could not make a trip to the festival mainly because I was busy but partly because there were intimations there was a dress code. Apparently we were to show up glamorous. I detest dress codes. To put things in perspective, there was a black tie dress code for the premiere of The Dark Knight Rises at Silverbird (then our only Cinema house) three years ago. I passed on it. On hindsight, that was actually a good thing. I digress. Deep down I wish I could have made it to the festival. There were free DVDs of Shirley’s recent films and the film on show is genuinely intriguing. At this point I can say Shirley deserves our attention. She is a solid filmmaker. She puts out good engaging stuff consistently which is commendable given the genre she likes to reside in. Rebecca looks like it could it be her best film since 6 hours to Christmas or Love or Something Like That (which I haven’t seen and was hoping for a free DVD of). Rebecca’s official synopsis goes: “Abandoned and lost in the middle of a deserted road, an egotistic proper city guy gets a rude awakening when he begins to realize that his only companion, a timid looking village girl who he had been forced to marry only a few hours earlier is anything but ordinary.” An intriguing set up. I will hopefully see it upon regular release. Now the sparrow entertainment festival isn’t the first film festival to pass through the Ghanaian cinemasphere. We have had the Accra International Film Festival, Accra Francophone Film Festival, The Legon Film Event and the I Luv Africa Film Festival among others. The problem is, I only really hear about these events at least a couple of weeks from the fact. They want for clout and fanfare. I may be wrong. The Sparrow festival however is in the mainstream. They marketed well, secured the major cinema house for their event and had a slew of Ghanaian A-listers at their event. The other film festivals can’t really boast having ticked all those boxes. There is another point to note here – the screening of a serial in Shampaign. Shirley has juggled the two primary modes of visual storytelling throughout her career. She is doing something significant in bridging the gap between the two mediums of film and TV by putting them side by side at her event. The gap between TV and film is already closing. Some prominent directors like Stephen Soderbergh have employed the use of serialised storytelling because it may suit a particular vision and that hasn’t necessarily negatively affected craft with some of the best camera work, from a directorial and cinematography standpoint, playing out on TV screens. One could argue Shirley’s best work is in Adams Apple. The future of African cinema should be pan African. We catch glimpses of that future here albeit from primarily a casting standpoint. Okay, it’s really just a Ghana and Naija affair but like I said, a glimpse of the future, something to build on. Next year maybe, Kunle Afolayan shows up and we know we are getting somewhere for sure but for now, I’m glad the focus remains the films and not pandering politics. People turned up because of the films and filmmakers. I wont underestimate that fact. The turnout was great. The star power made sure of that. 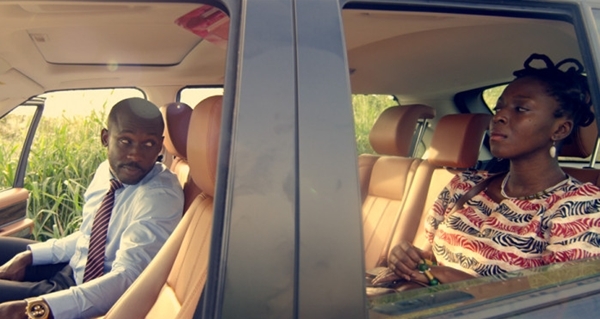 Shirley appears to have ostensibly provided yet another stepping stone for Ghanaian cinema. The question is, does it develop next year? Do we see young filmmakers getting some valuable exposure at Sparrow’s event? Do we get a platform for engaging discourse with filmmakers? Does it expand beyond an in-house party and could it be the marque film event that stands the test of time? I guess we’ll live to see how things pan out. I however feel I can bet on Shirley.